With all the reports and warnings about cyber attacks, it sometimes feels we are living in a futuristic spy novel. Switch on the evening news, and you’re confronted with the latest dramatic twists in the never-ending story of our cyber safety. Now, it seems that even our antivirus software is not safe, with a popular Russian brand banned by the US government on suspicion of spying. How is this possible? After all, antivirus software is designed to protect your data – could it really be doing the exact opposite? Before panic sets in, let’s take a moment to think this through. Antivirus software installed on your computer has unique access to all your data and information. It regularly scans your entire computer. It is privy to all your online activity. It’s the perfect opportunity for nefarious, tech-savvy entities to steal your data and leak it to foreign governments, identity thieves, or who knows who. It may sound like the imaginings of conspiracy theorists, but the threat is real. You only need to open your eyes to see the scenario playing out right now. Kaspersky AntiVirus Software Spying on the US – Truth or Fiction? Established in 1998, the Russian-owned software company Kaspersky Labs has grown into an international giant, with its antivirus software installed on 400 million computers worldwide. Over half of its customers are located in North America and Europe. Last fall, the US government banned the use of Kaspersky products by its agencies, due to fears within US intelligence that the software is being used by Russia’s Federal Security Service to spy on American interests and steal government documents. It appears that Kaspersky management has ties to the Russian federal agency. The company, of course, denies the allegations and has opened a lawsuit against the US government for harmful allegations that have substantially damaged the company and its profits. Given the facts of the Kaspersky case, it’s not necessarily paranoid to wonder if your antivirus software may be spying on you. But before panicking, let’s take a look at the reasons why antivirus software may be used for spying, and what type of information it may be trying to steal. Certainly, it is not difficult to see how a foreign government could be tempted to use antivirus software to spy on agencies of enemy countries. For private citizens, cybercriminals and hackers could use antivirus software to steal your identity, commit financial fraud, hack into company IT systems, steal intellectual property, and much more. An example is a type of malware known as ‘scareware.’ Scareware is when a rogue software tricks the user into believing their computer has been infected with a virus. Then, the scareware prompts the user to download and sometimes even pay for software that will supposedly ‘fix’ the problem. Oftentimes, rogue software scammers go to great lengths to appear like legitimate antivirus software, even to the extent of creating customer service hotlines. Don’t be fooled, however. The software doesn’t work. Apart from being defrauded of money paid for this fake software, what’s worse, victims of scareware are putting their personal data at risk of theft or exposure. Although the threat is real, it’s important not to take things out of proportion. The resources required to successfully run an antivirus software scam are enormous, and the risk of being caught not insubstantial. Developing and deploying a fake antivirus software for the purpose of spying or hacking is therefore not something that your run-of-the-mill criminal will be able to pull off easily. 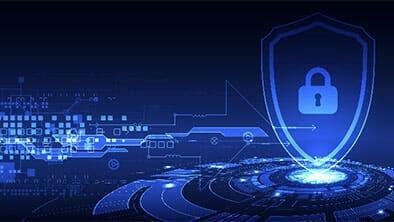 What’s more, it is highly unlikely that well-known antivirus software brands, particularly those that are longstanding industry players, are spying on your data. It would simply not be worth the risk for any semi-serious or reputable software company – even if is tempting to indulge in conspiracy theories from time to time. Always use a reputable, respected and long-standing antivirus software. Stay away from unknown software that makes big promises, yet is available for free. Many well-known software brands offer a free version. This is totally fine. The free option is a basic version of the software designed to increase exposure in the market, with a sales strategy that encourages future upgrades to more complex, paid software. There is nothing suspicious or untoward about this business model. Pay attention to government warnings and bans on software. If the government is telling you to avoid a particular antivirus software, it very likely has a good reason. There are plenty of other software options available, and no need to put yourself at risk in the face of official warnings. Never, ever respond to random alerts and antivirus warnings from unknown or new software brands or companies. And never accept a download, or agree to pay for a download, of random antivirus software claiming to fix an apparent bug on your system. Choose a highly reputable antivirus software that complies with independent testing protocols. Install it according to the instructions, and get familiar with the way it works. Then you’ll be much less likely to fall for a shady software scam. While there’s no need to be paranoid, there’s also no harm done in taking precautions to prevent antivirus software fraud. One of our most important recommendations is to choose a reputable, effective antivirus brand and to rely on that software alone for all your anti-malware needs. A good contender for the job is TotalAV antivirus software. So, the answer to the question of whether your antivirus software is spying on you is: probably not. Yet that’s no excuse to be complacent. Be aware, keep up to date with government-issued warnings, and only choose a respected, reliable antivirus software package. And stay away from strange, random antivirus warnings and cheap download offers that promise to save your computer from all kinds of dangerous threats. Remember, if it’s too good to be true, it probably isn’t. Scary, but doesn’t surprise me at all! Technically, ALL antivirus spies on you. It looks for malicious files and then sends it their lab to see if the files are viruses. So..techncially, all antivirus is spying on every file you ever download.